Exceptional comfort and outstanding fluid management performance. Comfort and suction in one product! Exceptional comfort and fluid management performance. 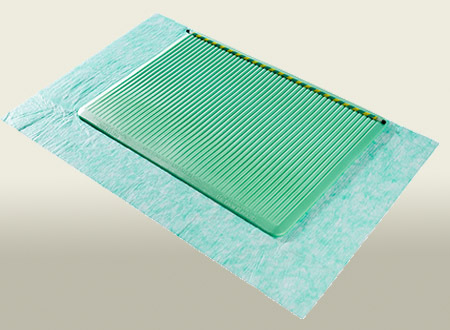 The EcoSuctioner is our innovative disposable surgical suction mat. It incorporates continuous, powerful and quiet suction capability along with exceptional anti-fatigue properties and our super absorbent UnderMat™. We have increased the comfort surface area where fluids are suctioned from, creating the most effective and comfortable suction mat on the market today. The EcoSuctioner suction mat may be the only fluid-management device your OR will ever need again. Designed in collaboration with world-class surgeons and nurses, The EcoSuctioner incorporates a proprietary, high-efficiency vacuum system that quietly whisks away all fluids coming down from the operative site onto the mat. Utilizing standard OR suction tubing in any length, The EcoSuctioner easily attaches to any operating room suction source in seconds. The EcoSuctioner has no uncomfortable tubing underfoot and will ensure a drier, safer and cleaner surgical experience. A significant surgical cost which often goes unnoticed, the use of countless blankets and towels placed on the OR floor to absorb fluids, can be reduced or eliminated by using The EcoSuctioner. This, in turn, makes for a much cleaner and safer work environment and can provide a substantial cost savings in your surgical suites. Less mess on the floor means quicker clean-up times between surgeries. This improves overall efficiency by allowing more surgical procedures per day, which helps boost revenue. OR personnel are continuously searching for ways to reduce surgical turnover times and increase productivity. The EcoSuctioner is a powerhouse suction device and will help achieve this, giving your cleaning staff more time elsewhere. 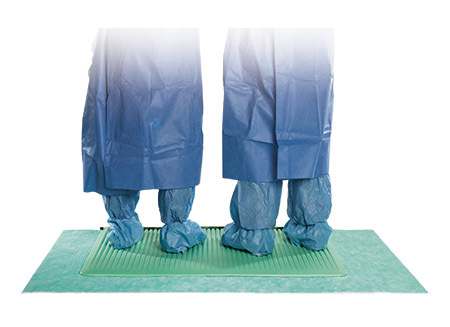 Just like The Surgical Mat™, The Mini Mat™ and The Suctioner™, The EcoSuctioner™ incorporates our revolutionary anti-fatigue properties that helps reduce the strain, stress and discomfort of standing during surgical procedures.